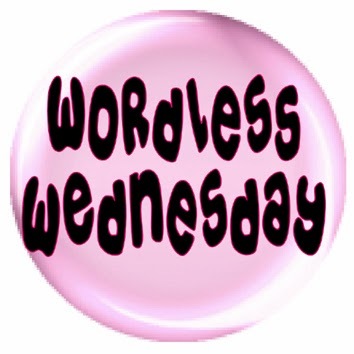 This entry was posted in A-Z Blog Challenge, Blog Hops, Wordless Wednesday and tagged A-Z Blogging Challenge, Comedy Plus Wordless Wednesday, Trouble, Wordless Wednesday by pilch92. Bookmark the permalink. Trouble looks like she will find what she is looking for. My human should really get insurance for me – it’s too late for Boodie and Binga, because they’re ancient. Most of my cats are old too. Insurance seems like a good idea………..vet bills can surely mount up just like people medical bills! Trouble sure gets into… well, a lot! Hi there Trouble. It is great fun getting into as much as possible. The kittnes here get into whatever they can find. You all have a terrific day. Insurance can sure be helpful, so I hear! I hear that too, but we don’t have it. I love Trouble. I love her name. I love black kitties. The vet staff tried to sell me on their wellness plan but our cats our ancient, too. And the so-called deals included a flea and tick prevention we don’t need. But I think insurance can be a good idea. We skip the flea.tick stuff too. Mom has done some research into pet insurance, but she hasn’t found one yet that seems to be of benefit. She and Dad try to allot a certain amount of their monthly budget for extraordinary expenses, and that helps, but it never seems to be enough for a big problem. I need lots of odds and ends totes. Sounds like there is ‘Trouble’ everywhere at your house – MOL! I wish they would do group rates on pet health insurance – we should all start a business doing that – we’d make millions – or maybe thousands? MOL! Thank you for the information. I’ve thought about getting insurance but haven’t done so. We only had insurance for a pet once, the free trial that we got with Luke when we adopted him from the rescue. Insurance always seems like gambling to me – sometimes you pay a lot of money and never need it; or it doesn’t cover the things you need it to. I have talked to several people and some love it and some don’t think it is worth it. We don’t have insurance but know people who do. Trouble sure has fun getting into things! I had Eric and Flynn insured, but when they reached 8 years the price about quadrupled so I cancelled it. I put the money I would have been paying into a savings account instead. I know the money I saved didn’t cover Flynn’s very high vet bills in his last 2 years, but I am sure the insurance wouldn’t have continued to keep paying for that long either, and most likely have said they couldn’t cover him after a year. That is what happened when I had a claim for my horse when he was older. That is cute. Trouble is adorable! Trouble is just the best. We just loved that photo. Great information for pet owners about insurance. It’s always great to just look into it. Thanks for sharing the information. Have a fantastic day. Thank you. I hope you had a great day. Mudpie is the first kitty I’ve insured. Definitely brings peace of mind. Our mom considered insurance many years ago but the cost was prohibitive for the lot of us. She read somewhere that instead of paying premiums, it made more sense to just set aside a monthly amount for what could be used as a vet fund. With my crew of 7, it’s just too expensive for us to get the insurance. The mom wishes she had gotten insurance on us. Pet insurance, like that for people, is expensive if it’s going to really do a lot of good. Happy Wednesday! I wonder what Trouble is looking for besides trouble. MOL! TW is gonna bookmark those sites cos she wants to get insurance if she ever got another cat in her life. She’d get me insurance but she thinks I’m too old. Pfft! She also thinks she needs insurance against me. We have money set aside for Gracie and Ava, but insurance can be a lifesaver, for sure! Love the play on words and Trouble’s posing heheh! Thank you 🙂 I hope you have a nice weekend. Wow, REALLY? I had no idea they sold pet insurance. Shows you I’ve been living under a rock for sure… dang. I guess if I had a young dog I’d consider it, but I got my lab from a shelter and I don’t even know how old he is. He’s a great watch dog for me and me being disabled I feel much more comfortable since Charlie moved in. Have a great day! I am glad Charlie is a good dog. my insurance is my sister who is a vet–otherwise seems like a good idea! I remember years ago talking about getting a dog and saying I didn’t know whether I’d be able to afford insurance (at the time I didn’t realise it was only going to be £8 per month). I got told if you can’t afford insurance, you can’t afford a pet and I realised it was true. Agreed. We had pet insurance when we just had three cats – and never used it once! Really? I bet that was a lot of money. Pet insurance can be such a wonderful thing, but I am sort of in the same boat as you. I have looked into pet insurance on many occasions, but now that I have 4 cats and a dog, the cost of it all seems a bit daunting. Instead, I try to always tuck away special savings for my furbabies, in case of emergencies. Having these savings tucked away really helped when pup Astrid had to have her toe/tumor removed back in 2017. Good idea to save for when you need it.